Castlevania Lords of Shadow – Mirror of Fate HD is the HD rerelease of the 2013 Nintendo 3DS game of the same name (except the HD part obviously), an interlude or interquel between Castlevania Lords of Shadow 1 and 2, and dealing with the Belmont clan and their relationship with Dracula, Lords of Shadow’s Gabriel Belmont. 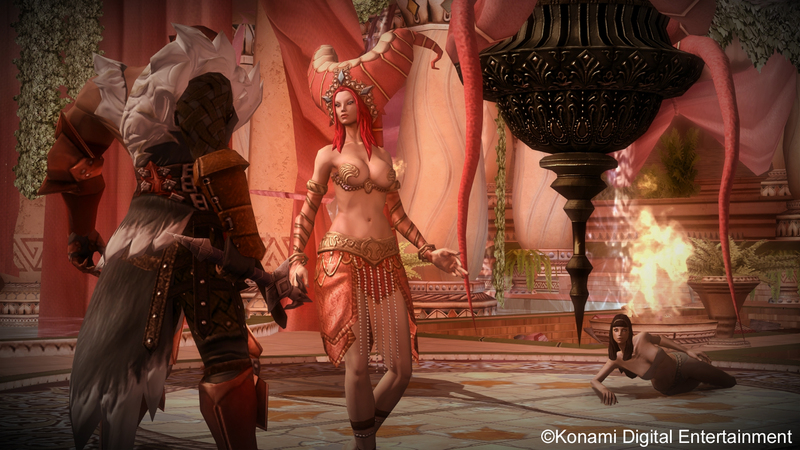 Lords of Shadow-style combat doesn’t translate very well to 2D. Acts drag on too long. Note: Images below might not correctly represent the visuals in the game, as many belong to the 3DS version of the game, which is exactly the same except on visual quality. Mirror of Fate’s story is told over the course of three acts, told out of chronological order, and a short tutorial prologue, though like all titles in this series, it’s not the last time you see tutorials. In fact, you get them almost constantly, with the camera pointing at what you need to use an item with or against, so that you know without the shadow of a doubt what you’re supposed to do. The game opens with Gabriel’s prologue, years before the original LoS, then follows the original Castlevania’s Simon Belmont, followed by this universe’s Alucard and finally Trevor Belmont, all of their paths leading to a fight with Dracula, except Simon’s act, which ends after a ridiculous Succubus fight, as his fight with Dracula happens at the same time as Alucard’s. She looks hot, but it’s a terrible final act boss! No matter which character you control however, the overall controls remain the same, and even more, secondary skills such as double jump, transfer from character to character, even if they don’t make much sense, especially when Trevor uses those acquired by Alucard, even if the latter’s story is set around 30 years later, only played in the inverse order. 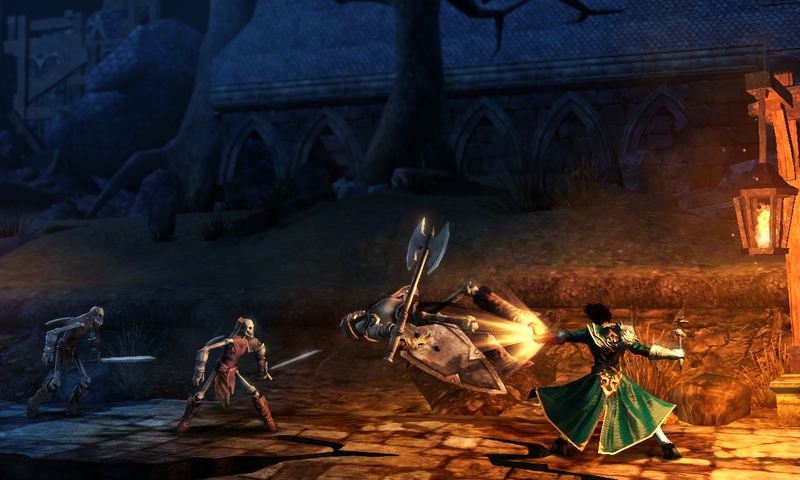 Speaking of the controls, they use the basic Lords of Shadow combat scheme with single and wide attacks, and sadly, they don’t translate very well to the 2D (2.5D to be exact), as the wide attack, while still covering a large space (in height) and can sometimes hit everything around you (though not often), it deals considerably less damage and is much slower than the single attack, which coupled with the fact you’re never really surrounded by swarms of enemies, makes it the least useful attack, and it feels as if it was added just to keep the same control scheme as the “main” series. While all characters handle the same, it’s in magic and secondary weapons where the differences lie, with each character having access to two secondary weapons of varying degrees of usefulness. Simon gets the very lethal axes and Molotov cocktails; Alucard gets useless bat swarms and a moderately useful bullet-time item (time-stop); and Trevor gets the overpowered boomerang and electric grenade combo. On the magic side, Simon’s centers on offense and defense, Alucard’s on alternate forms and vampiric powers, and Trevor’s on healing and damage. As with the items, they’re of varying usefulness beyond needing them to open certain doors or solve a few puzzles. Compared to the main series, Mirror of Fate features many more platforming elements, and while they are tighter than those found in the Lords of Shadow 1 & 2, they do still often come off as shallow or hastily implemented, with the exception of Trevor’s arc, which features some fantastic platforming segments, especially later in the game, some of which are quite unforgiving. On the plot side of things, after the disaster that was Lords of Shadow 2, my expectations for this game were subterranean, but it does have an interesting plot. Sure, each act drags on maybe a bit too much, especially Simon and Trevor’s, but it is an interesting story about how becoming Dracula forces Gabriel Belmont to fight his own family as they keep coming to hunt and kill him, their fate to be in conflict forever. In fact, in another medium, such as a novel or a comic or a manga, you add a few more Belmont’s down the ages and it makes for a powerful tale. The only thing I disliked about the story structure is the Act order, finding it strange to see Trevor’s as the last one, since it happens before all others, and I realised that it’s this way only to serve as an unnecessary origin story. 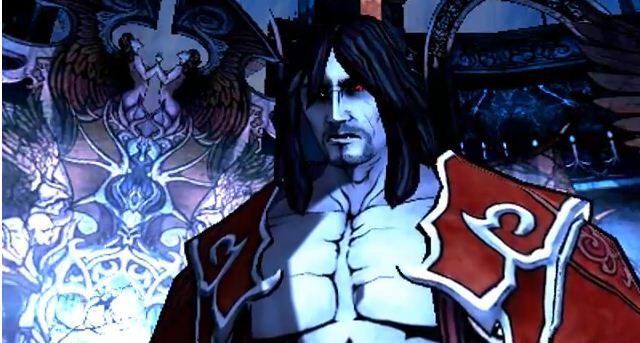 In my opinion Trevor’s should have been the first, followed by Alucard and then Simon, since it would’ve been nicely reminiscent of the original Castlevania. As it originally stated as 3DS game, it doesn’t use the same engine as the main titles in the series, instead using a fantastic cel shaded visual style that matches the gothic Castlevania look perfectly and made me remember classic titles in the series, such as Symphony of the Night. Sadly, there are some severe frame rate issues, as the game slows down to a crawl at times, or feels jittery at others. The Camera is another problem, since it works in the Super Smash Bros. way of zooming in and out of the action, with close-ups for combat and wide shots for exploration, often forcing you to fight so the camera zooms out enough for you to continue platforming. It wasn’t only the visual style and the presence of Alucard that reminded me of the classic titles, but also the exploration aspect, as this game is the closest this reboot series will ever come to true Metroidvania, with secrets and upgrades to find in previous areas, though you rarely backtrack and there’s no true freedom of exploration, with each act being completely linear. Upgrades come in the form of chests, each increasing your maximum mana, health or maximum ammunition. Character progression on the other hand is completely different from in other Lords of Shadow games. Instead of purchasing skills, you acquire experience like an RPG, gaining new moves with each level. It’s a simplified character progression system, and like the exploration aspect, it seems like a step towards its predecessors, while still remaining anchored (stubbornly) to the Lords of Shadow series. 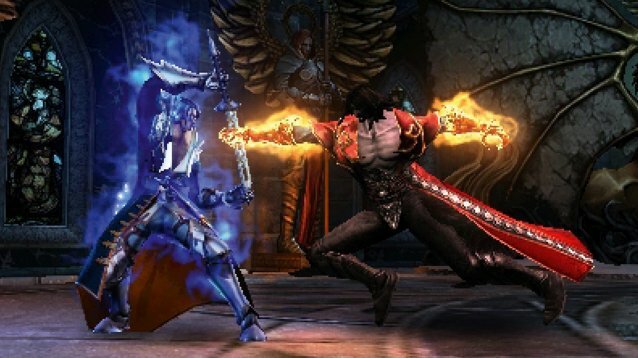 As is now standard in the Lords of Shadow series, the voice acting is superb, with Robert Carlyle once again nailing Gabriel Belmont/Dracula, and showing a crueler side to him at times, while still grounding his humanity. Both Simon’s actor, Alec Newman (Muad’Dib in the 2000 Frank Herbert’s Dune miniseries) and Trevor/Alucard’s, Robb Stark himself, Richard Madden, completely nail their roles, adding their names to the long list of fantastic actors in the Lords of Shadow series. Robert Carlyle rocks as always! Mirror of Fate could have been the best game in the Lords of Shadow series, with its simple yet interesting story and closer ties to the classic titles of the series, but its design choices, stubbornly keeping it bound to the conventions of its parent series ultimately drag it down, with its tutorial-centric gameplay, uneven combat, weapons and magic, and the story is two of the acts dragging out so long you just happy that it’s ending, and leaving you no desire to replay them or even continuing to explore the castle after the game is finished. The Mental Attic Score: Wait for a Sale! The game is flawed, but it’s ultimately entertaining, and provides the closest thing to Metroidvania we can get from the Lords of Shadow series, but it’s not good enough to warrant paying its already low price.